Subject: Is it a stroke? Susie is recouping at an incredible pace for someone with a massive stroke – all because Sherry saw Susie stumble – -that is the key that isn’t mentioned below – and then she asked Susie the 3 questions. So simple – – this literally saved Susie’s life – – I received this very same e-mail the week Susie had her stroke. Some angel sent it to me and I did just what it said to do. She failed all three and I did call 911. Even though she had normal blood pressure readings and did not appear to be a stroke as she could converse to some extent with the Paramedics they took her to the hospital right away. I thank God for the sense to remember the 3 steps! After discovering that a group of nonmedical volunteers could identify facial weakness, arm weakness and speech problems, researchers urged the general public to learn the three questions. They presented their conclusions at the American Stroke Association’s annual meeting last February. Widespread use of this test could result in prompt diagnosis and treatment of the stroke and prevent brain damage. BE A FRIEND AND SHARE THIS ARTICLE WITH AS MANY FRIENDS AS POSSIBLE. 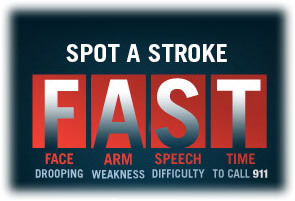 (by America’s National Stroke Association) it is easy to see how the simple three-question test could help identify a stroke. But there is very important point here that you have to know! The basic information in the e-mail is true, but the absence of these symptoms does not necessarily indicate that a person is NOT having a stroke. It could be extremely dangerous to reach the conclusion that a person did not require medical attention just because he or she could successfully carry out the three steps outlined in the test. Furthermore, you don’t know about if “Susie” and “Sherry” are real people or just fictional characters designed to emphasize the information and add a folksy element to the message. The sentence: “A cardiologist says if everyone who gets this e-mail sends it to 10 people, you can bet that at least one life will be saved” is lifted verbatim from a hoax email that outlines a dubious “cough CPR” procedure for heart attack victims. The problem with email forwards is that the core information tends to become garbled or diluted as various individuals decide to add to or modify the message as it travels through cyberspace.